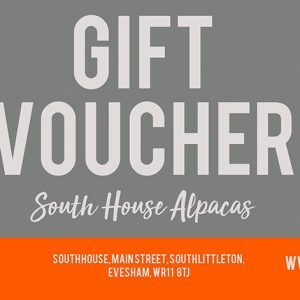 This Gift Voucher is for 2 Pople to go on our 2.5 hour Alpaca trek. 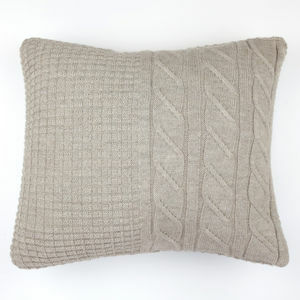 A perfect unusual gift for Christmas or Birthdays! 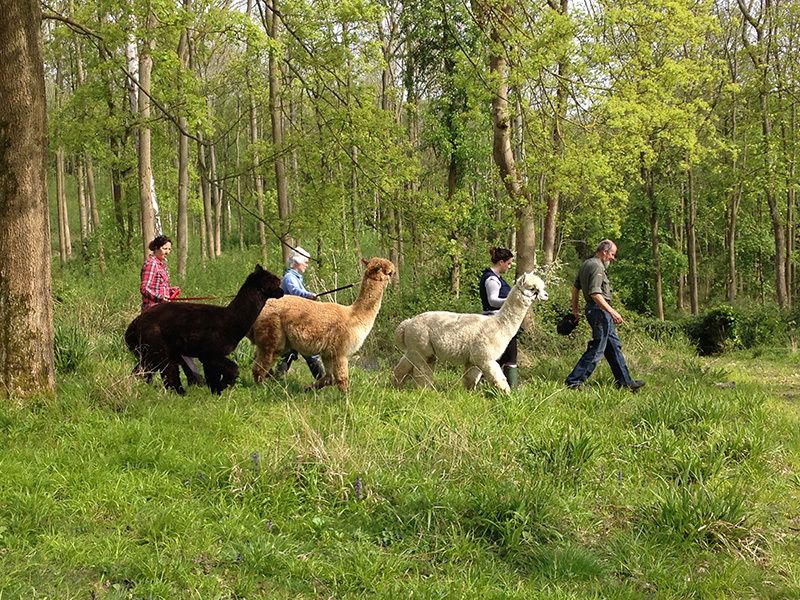 If you fancy trying something different today, Alpaca trekking is for you!! 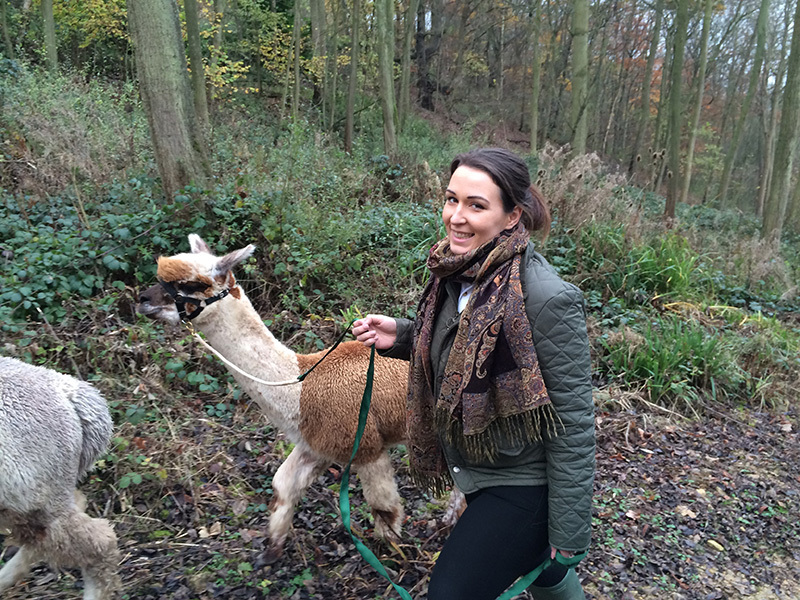 What could be better than a gentle trek around the Heart of England Forest with a gorgeous, fluffy alpaca at your side? 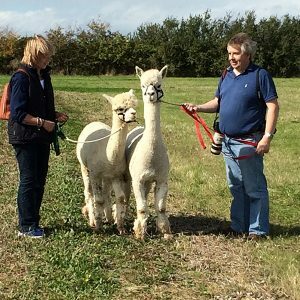 Alpaca Trekking is a truly memorable experience; see the stunning countryside from a very unique perspective; and make a new alpaca friend as you go! 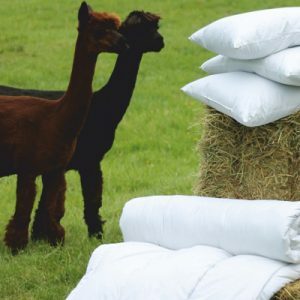 We will give you an opportunity to get up close and personal with the alpacas, feed the females and babies (cria) then have a go at haltering your own alpaca before taking them on a walk around the fields and bridal way. 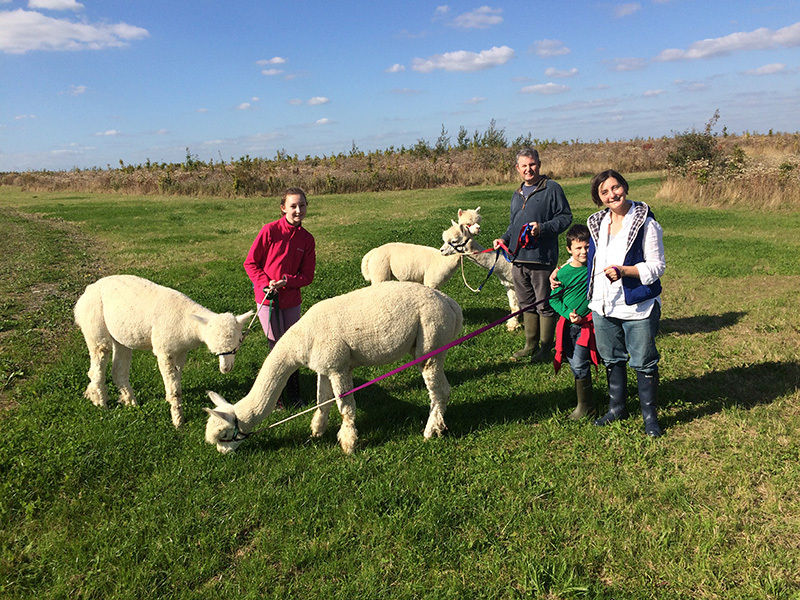 If you are very enthusiastic, you can even get involved in toenail cutting! Anyone aged between 12 and 112 can trek.